It's a mid-30's chilly, a bright Venus, dawn sliding up over the east, Sirius fading over the bay just west of us. Most of the of the stars have faded out, deferring to the early light. A little late to be searching for meteors. And then a spine-chilling, brilliant flash, streaking west. A Leonid. I had almost given up, except the early morning light itself was wonderful, and I had forgotten (because it is easy for modern humans to forget these things) how deep a joy the early dawn sky brings. My son and I once waited a long, long time on a very chilly November night, 16 years ago, to see the Leonids, and at dawn we were rewarded--several brilliant Leonids every minute, a spectacular light.show. We were seeing dust left from a comet's pass back in 1866. Yesterday, Leslie and I took a walk along the edge of the Atlantic at Two Mile Beach. The long light of late autumn drenches everything in gold. I was bumbling around looking for sand dollars, which I rarely find, when I saw a fluttering flash of orange. 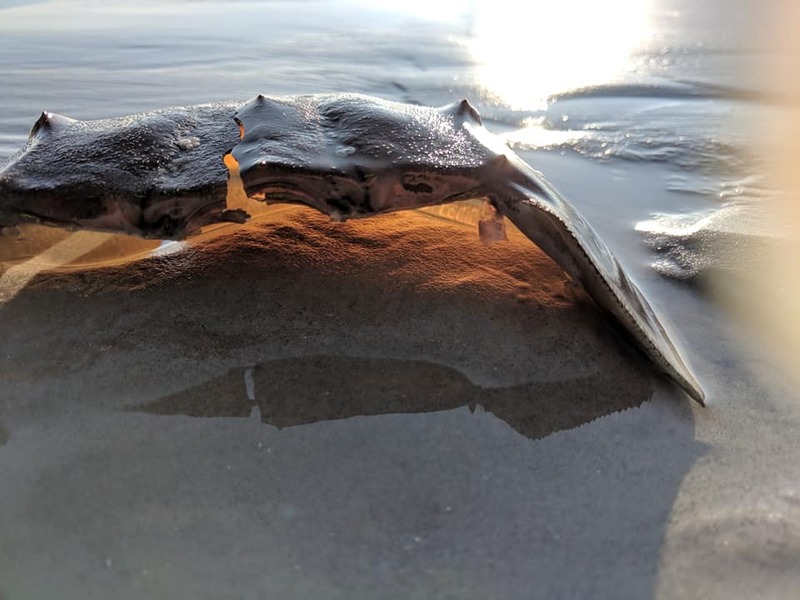 A monarch butterfly, soaked, wings flattened against the sand, its antennae twisted together like a cartoon. It was alive, so I picked it up. 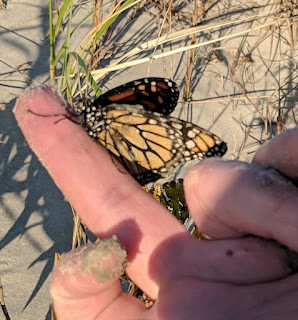 It grasped my finger and tried to unfurl its wings. The edge of one wing was lined with sand. 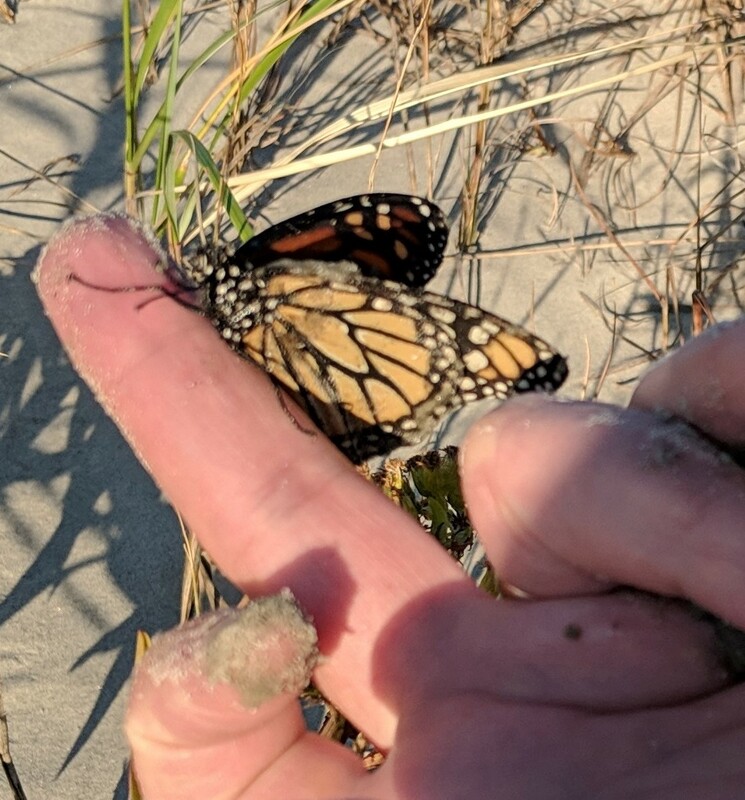 We walked it back to the dunes, found a starthistle bathed in sunlight, and (after a bit of resistance) managed to get the monarch off my finger onto the plant. We took our walk, and when we returned, the monarch was still there, but in a better position, its wings and antennae in better shape. It might still be there now.